Buy the best knick-knacks for yourself or your entire team and make a splash during the Night of the Refugee. 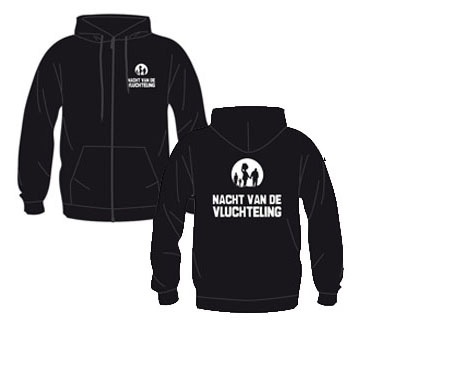 Merchandise is available from the Refugee Foundation's stand at all start and finish locations. All proceeds directly benefit the Foundation's work. Keep it simple with this cotton hoodie with zipper. The hoodie is a real eye-catcher and is available (in limited amounts) in the sizes S, M, L, and XL. Buy one for yourself or the entire team. 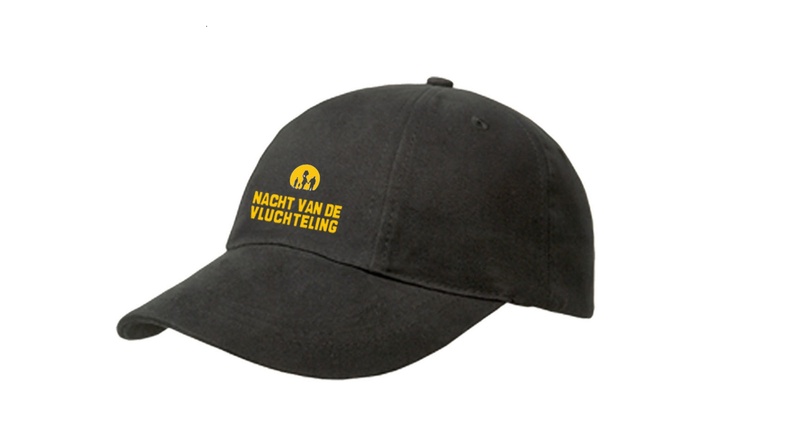 This exclusive black cap with the Night of the Refugee logo on the front will protect your eyes from sunlight in the early hours of the morning. Includes adjustable back strap. Stand out in the night! Illuminate the road ahead with your very own Waka Waka light. The Waka Waka light provides you with safe and sustainable light all night.